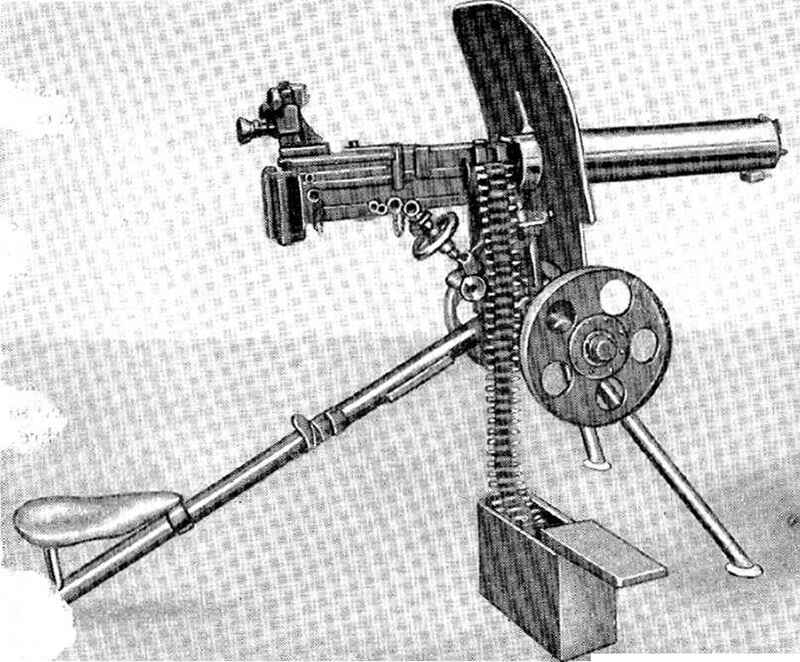 Dreyse Machine Gun, Model 1912. I ihe efficiency of the water-cooled weapon. .u:c only a few pounds separated the two dif-:4Vent styles, they looked very favorably on tlie •xtremely lightweight Dreyse. The large tripod mount originally designed for it was removed, and a bipod was substituted. This permitted the advancing infantryman to fire from the prone-position. It was thought that this weapon, so mounted, best fulfilled the high command's conception of the primary function of all automatic weapons, namely, to deliver economically the greatest volume of fire |xnver without sacrifice of mobility and accuracy. Provision was made on the receiver for mounting a telescope sight; otherwise the conventional graduated iron sights that could be folded down when not in use were employed. 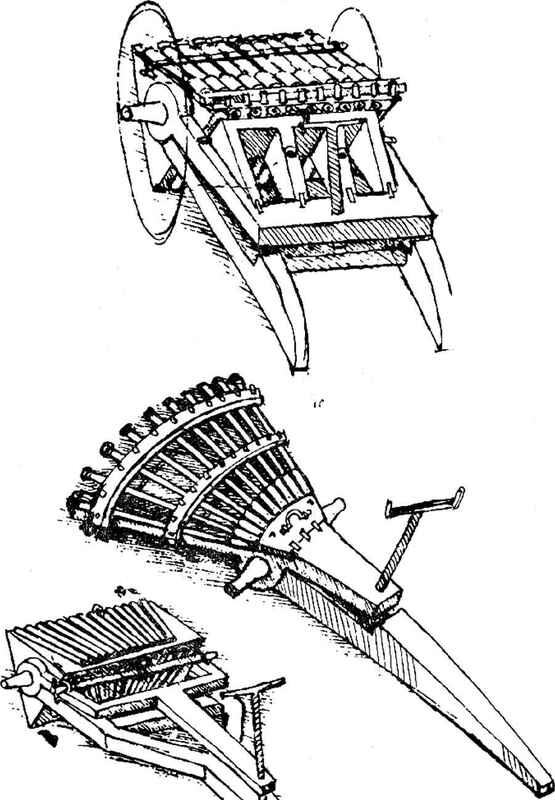 'I'lie double safety arrangement was retained from the original design. There were only three main groups in its construction: The receiver, the back plate, and the cover. The receiver housed the barrel, barrel extension, operating parts, and water jacket; the back plate contained the buffer spring and trigger mechanism; while the cover held the feed slide and components. To unload the weapon, the belt-holding pawl was lifted, allowing the belt to be pulled back so that the feed pawl would not engage the last round. Then the chambered round was removed by pulling back all the way on the retracting handle and then releasing it.